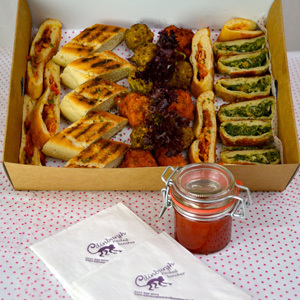 This is our standard business lunch platter. 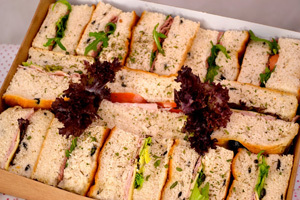 An assortment of hand cut sandwiches of your choice on a variety of breads , dressed and boxed in our unique platter boxes. 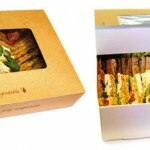 Each box comprises 40 ¼ sandwiches , sufficient for a party of 10. Minimum delivery £50.